Lead in water is the most significant source of lead exposure after lead paint. 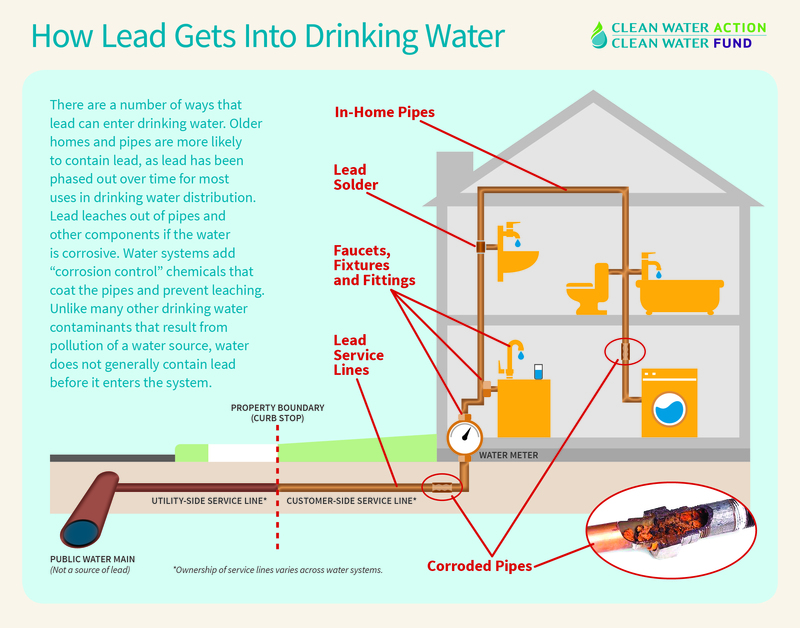 Lead was a preferred plumbing material, particularly for water service lines, until it was outlawed in 1986. (Washington, D.C.)-- Despite being a former oil and gas lobbyist with extensive conflicts of interests acting Secretary David Bernhardt will appear before the Senate tomorrow for his confirmation hearing to be Secretary of the Interior. Clean Water Action: Polluters Take Notice - A New Sheriff’s in Town! Totowa, NJ - At a press conference today where Attorney General Gurbir S. Grewal and Department of Environmental Protection Commissioner Catherine R. McCabe announced 4 natural resource damage (NRD) lawsuits against three of the largest corporate polluters across the state, Clean Water Action declared that there’s a new sheriff in town. “For too long, Michigan residents have faced uncertainty about whether the water coming from their taps is safe for their families to drink. By requesting an administrative rule-making process to set a Maximum Contaminant Level (MCL) for PFAS chemicals, Governor Whitmer has shown that she is ready to put Michigan families and our drinking water first." In 2019, Clean Water Action is helping lead the fight for clean water in California focusing especially on people living in communities without access to clean drinking water. California is home to some of the nation’s starkest divides between its most fortunate residents and its least fortunate, with over one million residents lacking access to safe drinking water.